A pirate or privateer if you wish but basically a pirate. 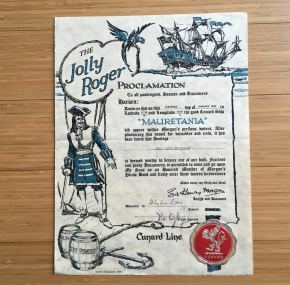 Sir Henry Morgan of Captain Morgan rum fame admitted this Mauretania cruise passenger Mrs Mary Milleman into his band of pirates. 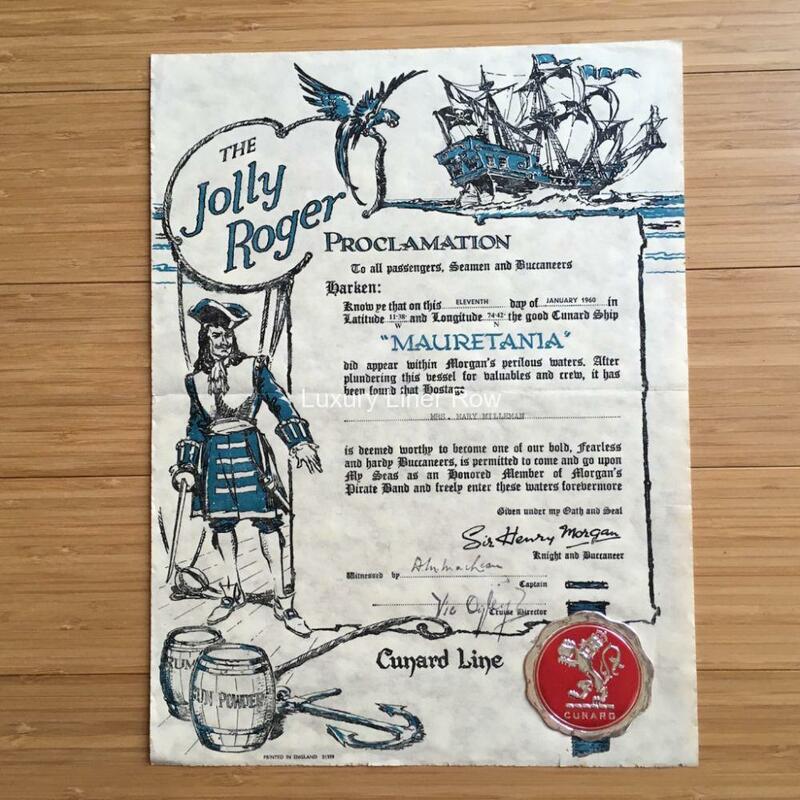 A nice bit of memorabilia of a fun on-board activity 56 years ago. In good condition with a well-made medal Cunard seal.